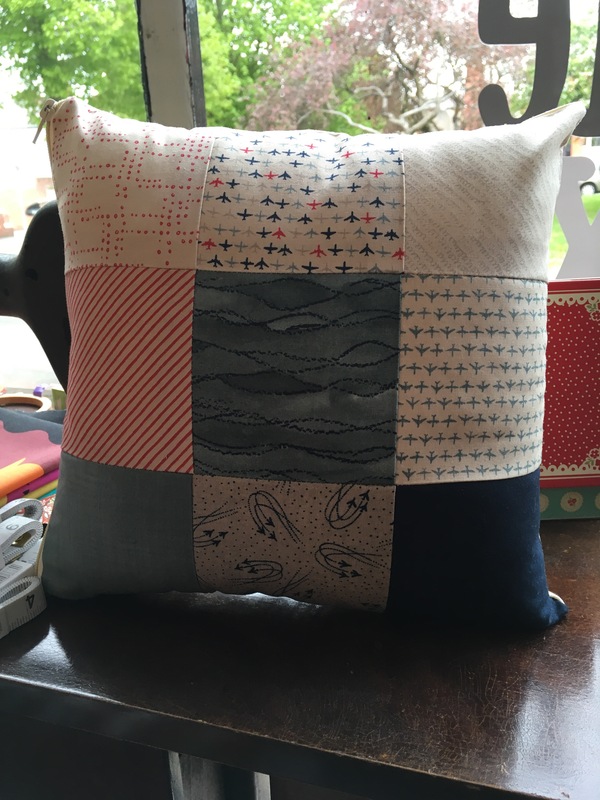 We have just set up our timetable of Sewing classes to be held at Trixie Lixie during May. Space is limited so it is essential that you phone us to book a place on 02920 344464. 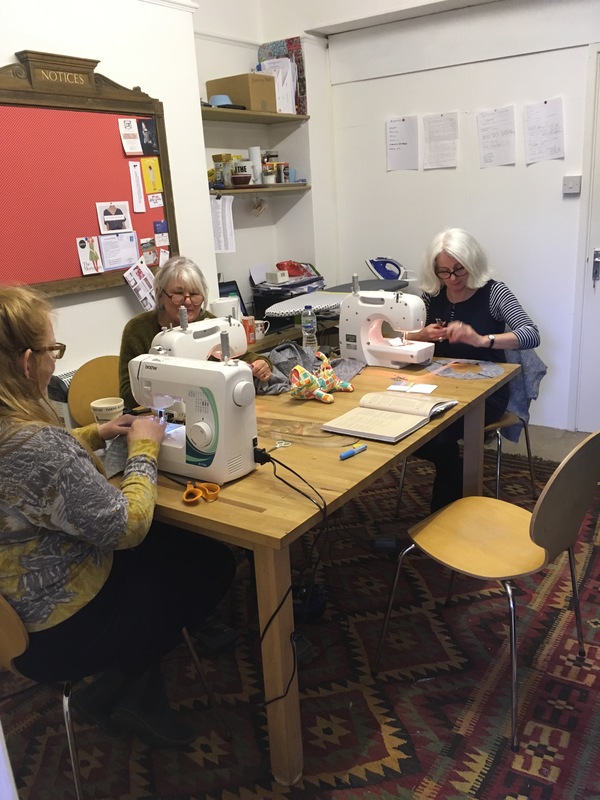 We are also starting a Thursday evening Sewing club, you can bring your own project, start a new one with our help, learn how to make your own wardrobe using our machines or bring your own. 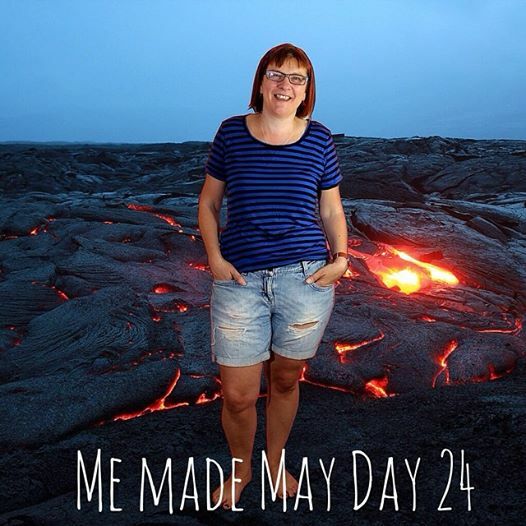 It’s almost May and another Me-Made-May is fast approaching so I thought I would re-post my first ever Me-Made-May! I always have so much fun doing it and can’t wait for this May so that I can do it all again, any suggestions for my theme this year? Last year it was Where am I, there wasn’t much of a theme to the first one, it just evolved! Although it says day 19 on this image it was in fact only day 18, I got a bit confused! 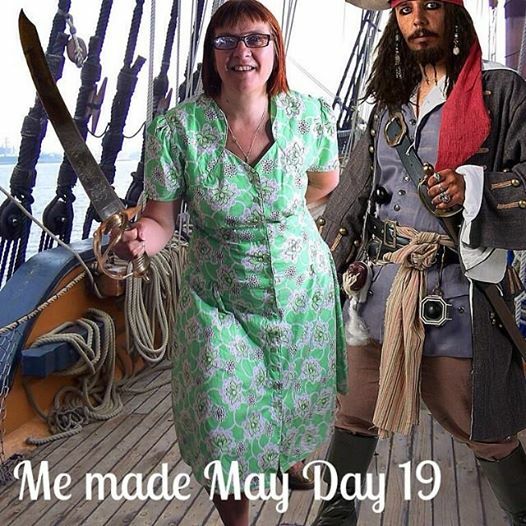 Being on a pirate ship probably didn’t help! 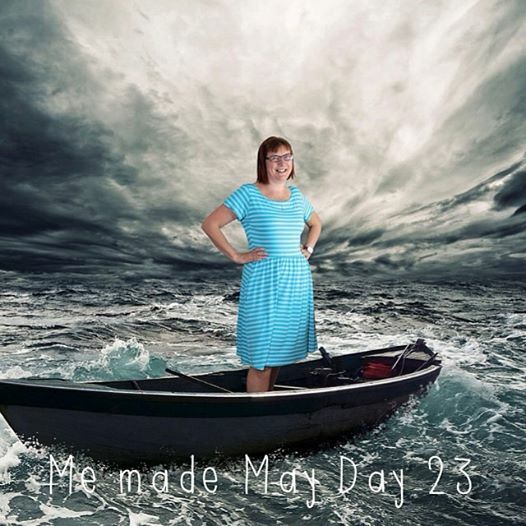 I am wearing a Colette Ceylon Dress that I made a few years ago, #mmm2014 has really encouraged me to wear a lot of outfits that have been sitting in the back of my wardrobe! 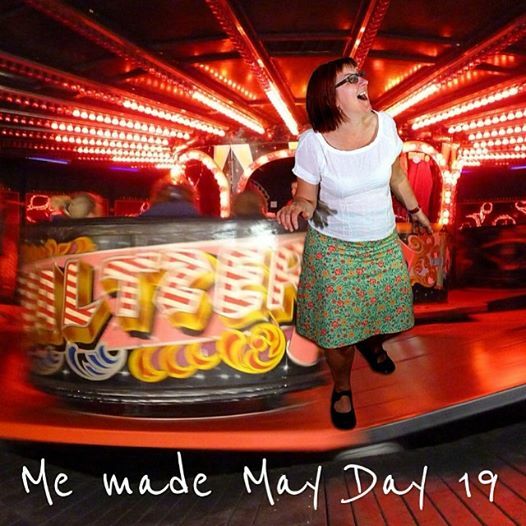 So this is actually day 19 and I look as if I am having a great time on the waltzers but actually fair ground rides absolutely terrify me! 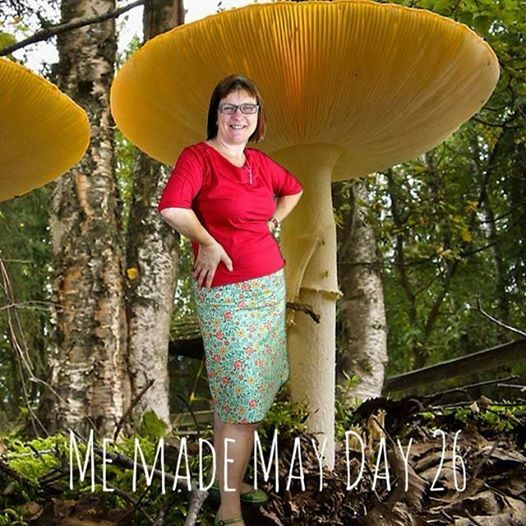 I am wearing a Simple Sew A-line skirt which is exactly that – a very simple sew and the pattern for £7.50 is also a very good price, the fabric is from the Moda Honky Tonk range which I love! My Blouse is the Sewaholic Belcarra that I have mentioned in previous posts. Party on! 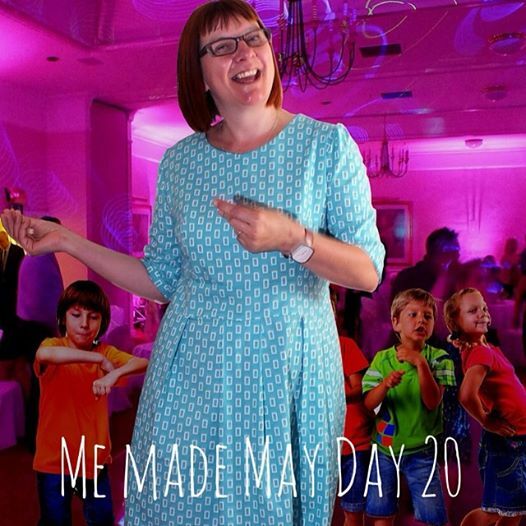 My gorgeous Mortmain dress that I am loving at the moment, I make dresses all the time and then hardly wear them so it’s great to get the opportunity to show them off at the moment and I must continue to wear them when #mmm2014 finishes! 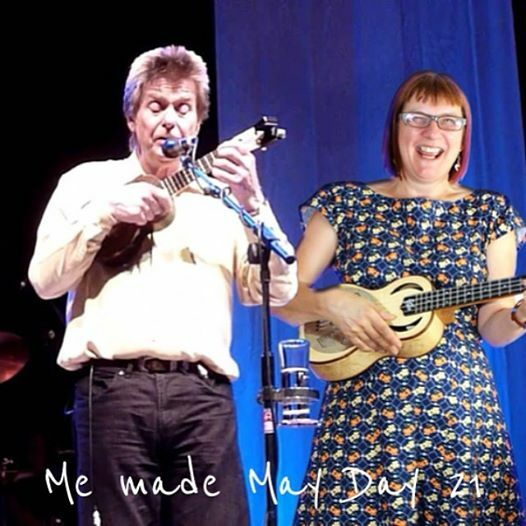 On day 21 I did actually go and see Joe Brown in concert, he was GREAT and those of you who know me will realise that I am actually playing that ukulele (although not actually with Joe!) 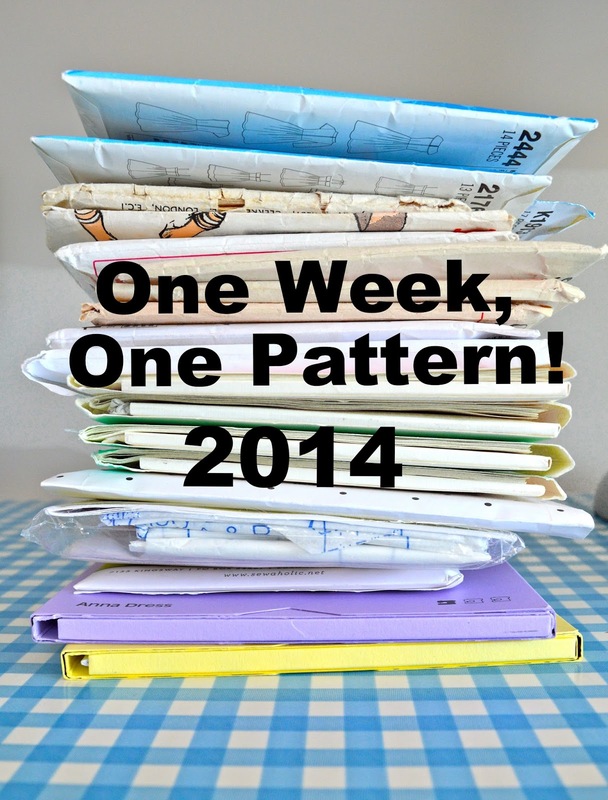 as it is something I like to do when I am not sewing! 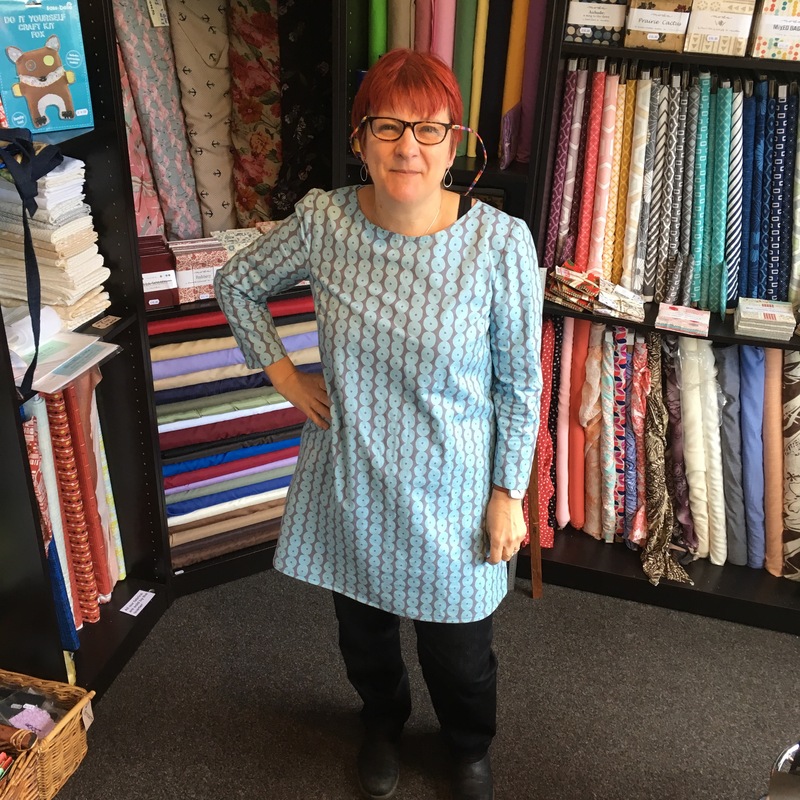 This By Hand London Anna dress has got to be my favourite make of the month, I love it! 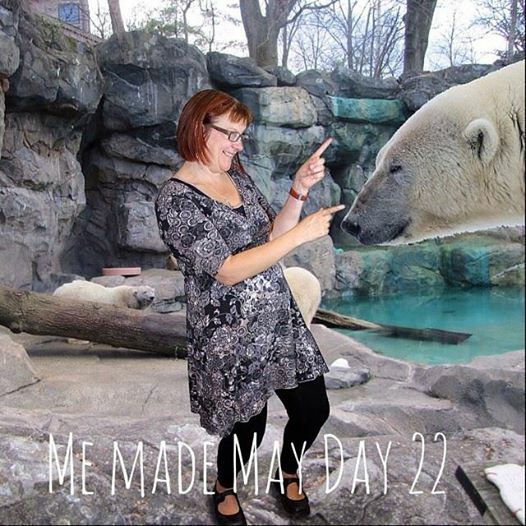 This has got to be one of my favorite photo’s of the month, I didn’ know what animal it was going to be Mr LLM just said today you are going to the zoo! The dress is a self drafted jersy knit using some of the funky jersey fabric we have in stock at the moment and the leggings are Cake Espresso’s. I am really enjoying sewing with knit fabrics at the moment, I treated myself to a copy of the new Colette book ‘Sewing with knits’ and it has given me the confidence to try lots of knit patterns, including this Colette Moneta dress, if you have got a serger you can make this really quickly! More lush jersey fabric! It was a gorgeous day today so I am wearing shorts, these are just a pair of cut-off jeans but I really want to make some Thurlow shorts for the summer, and the top is my stripey Sewaholic Renfrew, another quick and easy jersey make. 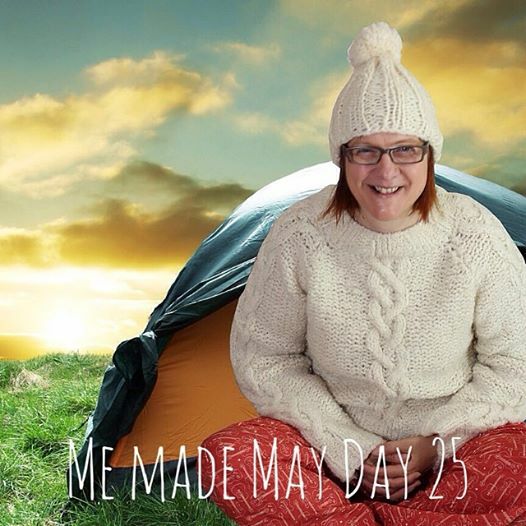 We went away for the week end so I appear to be camping in a tiny tent here, but actually we stayed in a caravan, it was pretty cold in the evenings though so I was really gratefull for my Sewaholic Tofino trousers and hand knitted Rowan wool bobble hat and jumper! I feel like Alice in Wonderland in this shot! Rocking my A-Line skirt as mentioned earlier and yet another jersey top, this time a Cake Cabrita. 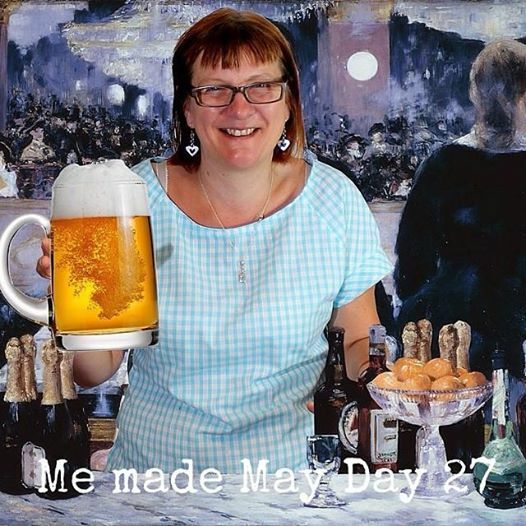 On day 27 I was serving pints for Manet, enormous pints! I love this gingham Belcarra blouse! 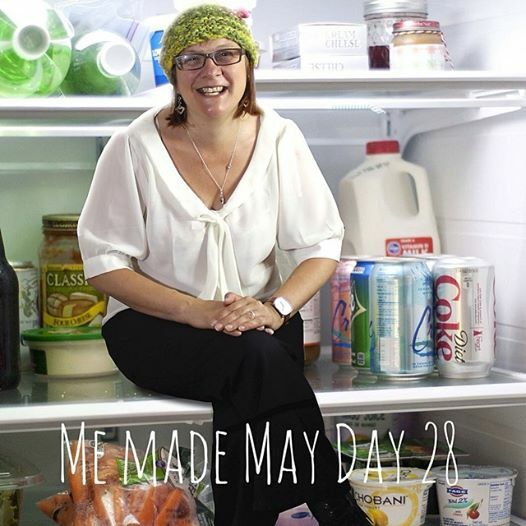 Somehow I ended up in the fridge today! Its a good job that I have got a hand knitted hat on to keep my head warm! 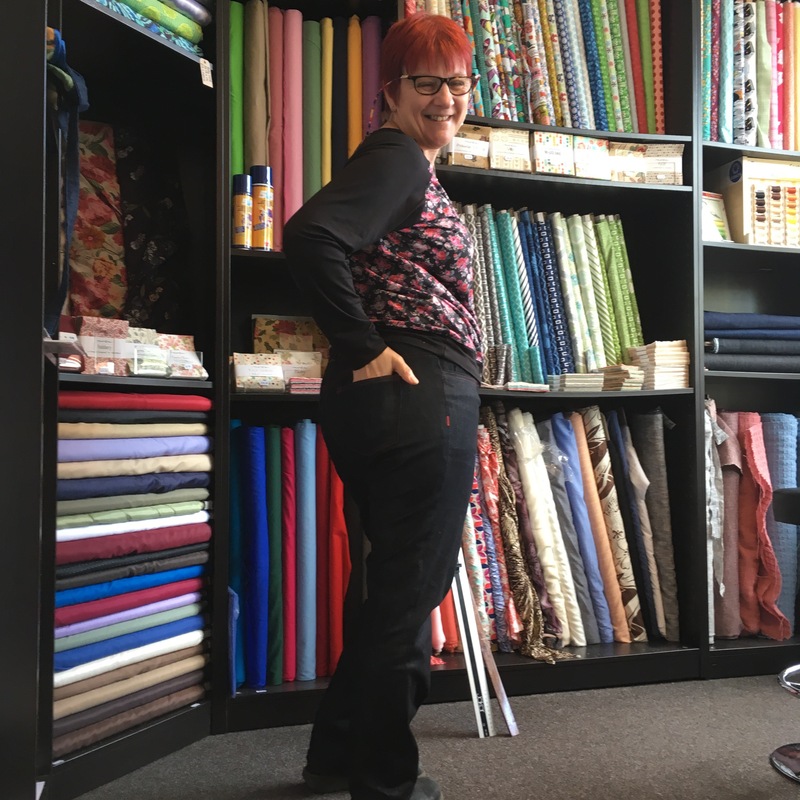 I am also wearing my Black Sewaholic Thurlow trousers and a Colette Jasmine blouse, this is one of the blouse’s that is available to buy as a kit from the website. Well thats me all up to date, only a few more days to go, it’s been great fun! About this time last year I made my first pair of Ginger Jeans, you can see that post here. So I decided I needed a new pair in a slightly darker denim, it took me a lot longer this time but that is because I have been busy that I am struggling to find the time to sew. These Jeans were cut out in January, the pockets were done in February and I managed to finish them in March and now I am finally blogging about them! In between making the jeans however I have managed to knock out a few Grainline Linden Sweatshirts this has got to be the easiest pattern ever! I made 2 in one evening! The one that I am wearing above and then a quick black & grey one, it’s also a great way to use up any scraps, the black and grey one is made from left over fabric that I had in my stash! I used my trusty overlocker to make these tops and also my coverstitch machine that I was still struggling with initially, I am pleased to say that now that I have a clear foot on it and can therefore see what I am doing, I am getting much better results. I made a third Linden using some of the gorgeous new flowery jersey we have just had in to the shop combined with some black. If you haven’t had a go at making a pair of jeans yet I would strongly recommend you give it a go, they are not as hard as you think and there are so many helpful tutorials online that cover everything from inserting the fly zip to getting a good fit that you can’t really go wrong.